Vinyl shutters can give your home a wow factor and improve curb appeal. That is, if they are not faded or weathered. The initial investment for new shutters is not that much when compared with their wow factor. In addition, vinyl shutters can last a lifetime without falling apart. Unfortunately, they will only look good for a few years and then Mother Nature causes them to look weathered and lose color and luster. The initial cost of using Shutter Renu is low and the effects last long. Applying Shutter Renu costs approximately 40 percent less than paint over the lifetime of the shutter plus allot less time is required to restore faded shutters with Shutter Renu versus painting them. The cost of paint, tape, cleaner, and drop cloth add up to more than $103. Shutter Renu is often on sale and can be bought for less than $65. In addition to saving money you will save time. There is no taping, masking, priming or messy clean up with Shutter Renu. Finally, Shutter Renu is better than paint because paint fades after a few years requiring repainting every 2-4 years. Shutter Renu will last a decade or more. 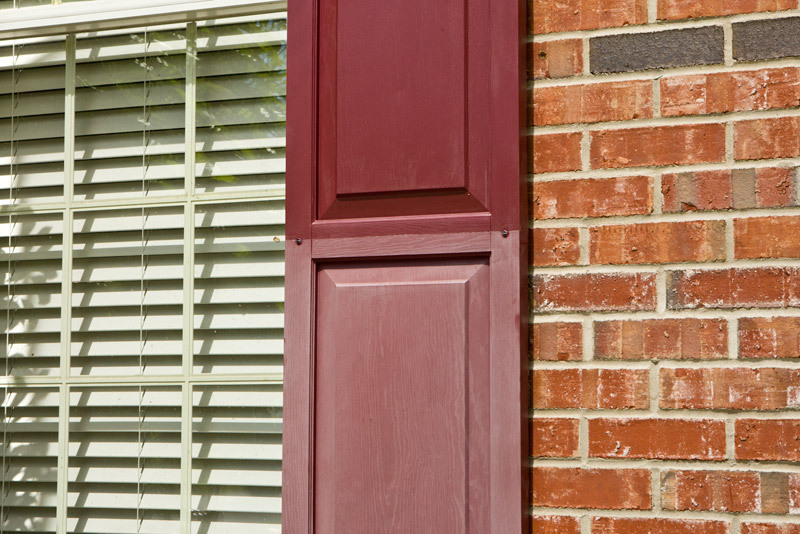 Shutter Renu restores color and luster without the typical problems associated with paint. For instance, paint can crack, chip, or peel especially when it is applied to plastic materials. Paint also makes a mess. If you are like us, there are always drops of paint that land on the wrong things and stay there for a long time. Most importantly, paint can fade in as little as two years. Shutter Renu restoration has none of these issues because it restores the color through a molecular and mechanical reaction. The process is stronger, more effective, and longer lasting. In contrast, paint restores color superficially, literally. Vinyl shutters, on which Shutter Renu has been applied, stay like new for longer. Paint starts fading after two, three or at most, four years. Shutter Renu restorer lasts for ten years, or even more. Shutter Renu contains high end automotive and marine grade ultraviolet (UV) and mold inhibiting technology. No big box paint brand can claim this. Shutter Renu is extremely easy to apply. There is no masking, taping or covering things like you would with paint. Shutter Renu contains no pigments or stains and so nothing gets ruined like with paint. In addition, there is no priming because Shutter Renu was developed for use on plastics. 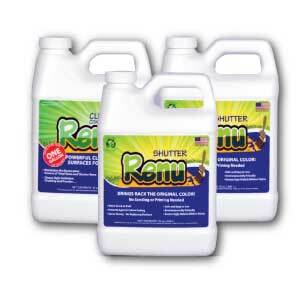 It simply requires cleaning using the Shutter Renu synergistic cleaner that comes with the kit. Finally, there is no messy clean-up. Simply rinse your brush or roller with water and you are done. Painting shutters can consume an entire day but restoring faded shutters with Shutter Renu can be done in a few hours. So…..Shutter Renu less expensive, easier to apply, longer lasting and produces better results than painting vinyl or plastic shutters.